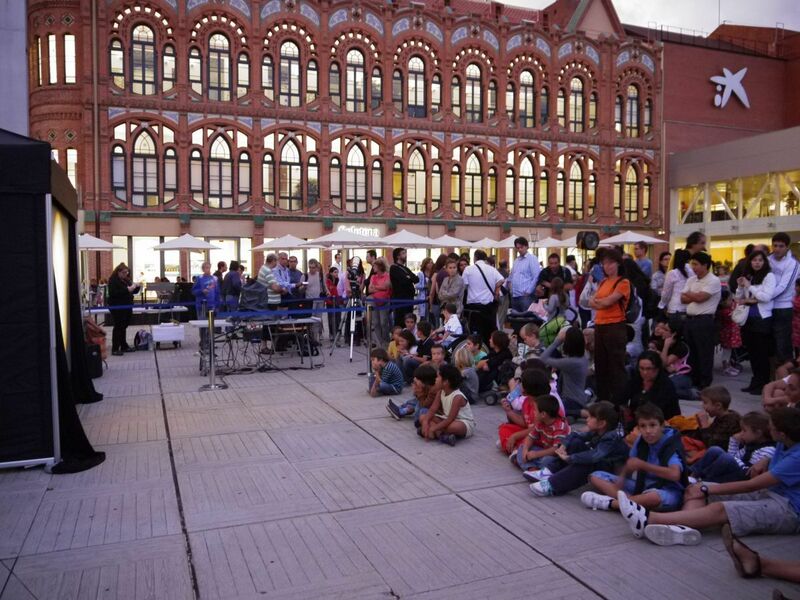 During Barcelona's biggest festival, in honour the city's patron saint, loads of musuems, sights and attractions open their doors to welcome you for free! Throughout the festival of La Mercè, you've got to get out and enjoy all the goings-on town in celebration of the city's patron saint. 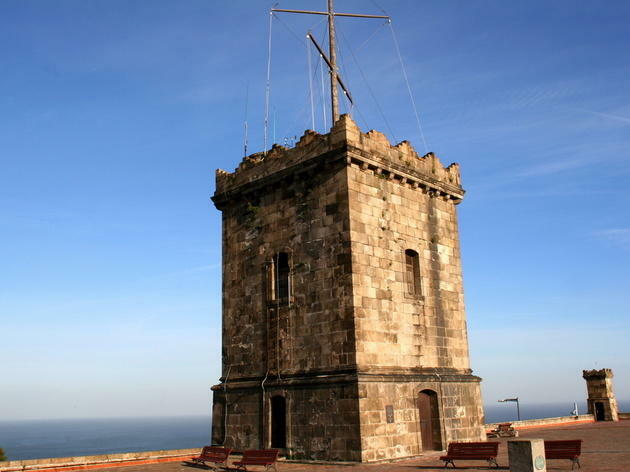 One of the most popular things to do is to take advantage of the 'open doors' day offered by many museums and some landmark buildings in Barcelona. We've gathered together a collection along with the timetables of when entrance is free (be careful, they're not all the same!). Some spaces will even be open on Monday September 25, which is a bank holiday. 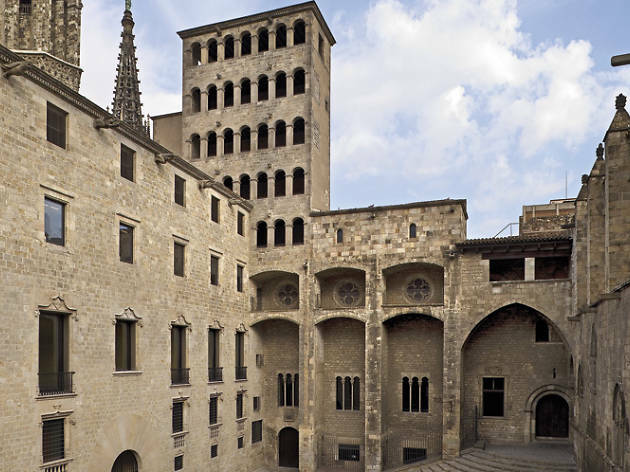 This former textile factory was designed by Catalan architect Josep Puig i Cadafalch and is a modernista masterpiece. 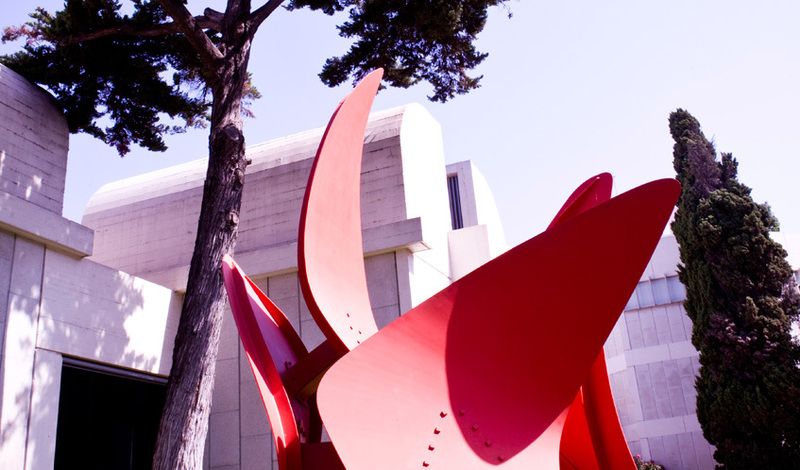 In addition to the permanent collections of contemporary art, you can also see temporary exhibitions such as The world of Giorgio de Chirico. Dream or Reality and Warhol. Mechanical Art. 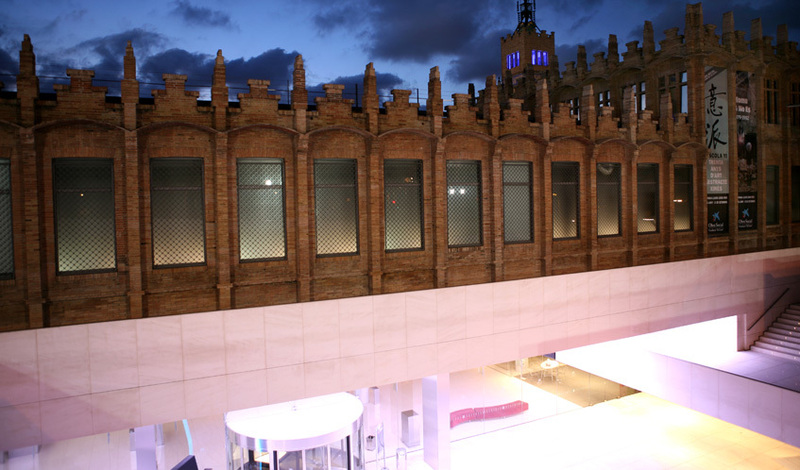 CosmoCaixa came out of the remodelling of the old Barcelona Science Museum. 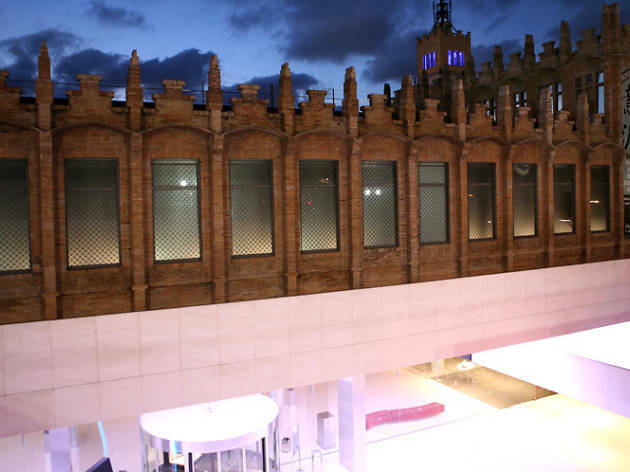 It was inaugurated in 2004 in its current incarnation, and occupies a building that's a modernista gem, created by Josep Domènech i Estapà. If you choose to get in during the open doors hours, you can check out the 'Talking Brains' exhibition and vist the Flooded Forest room. Sunday 24, 10am-8pm. Limited entry. Free tickets will be given out in two sessions, at 10am and again at 3pm, while they last. A fortress-like edifice shoehorned into a narrow six-storey sliver, the Palau Güell was Gaudí’s first major commission, begun in 1886 for textile baron Eusebi Güell. 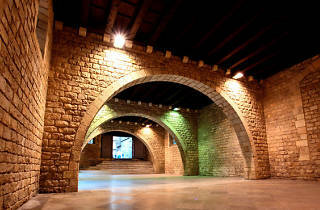 After years of renovation, it reopened in 2011, and once again visitors can look around the subterranean stables, with their exotic canopy of stone palm fronds on the ceiling, and the vestibule with ornate mudéjar carved ceilings from which the Güells could snoop on their arriving guests through the jalousie trellis-work. At the heart of the house, the spectacular six-storey hall, complete with musicians’ galleries and topped by a dome, is covered in cobalt honeycomb tiles. 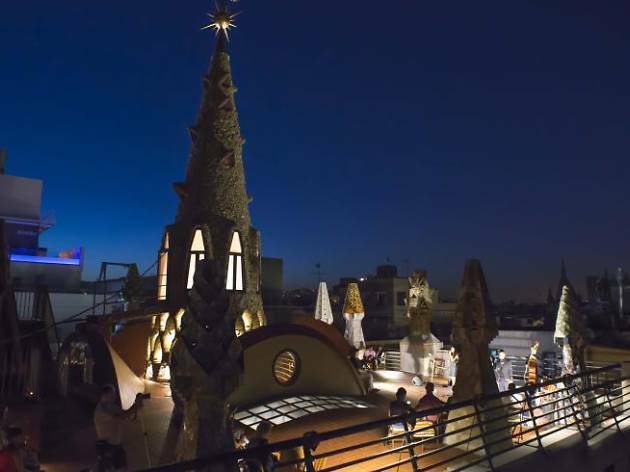 It’s a somewhat gloomy place, but the antidote lies on its roof terrace, decorated with a rainbow forest of 20 mosaic-clad chimneys. The Palau Güell was declared a UNESCO World Heritage Site in 1984. 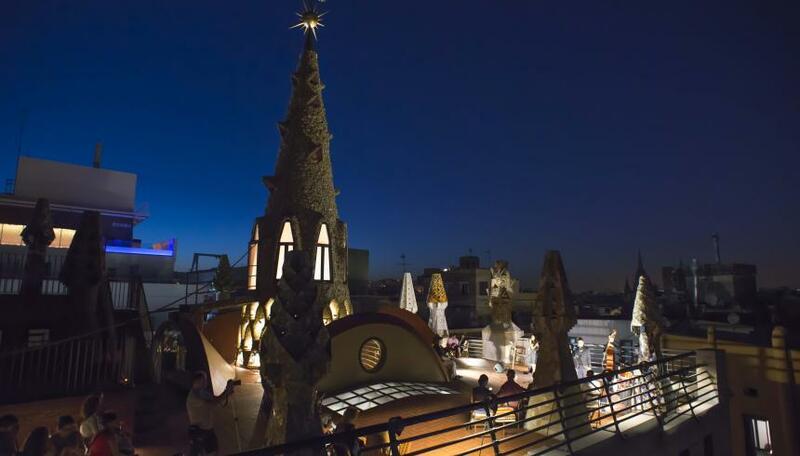 The work is a prelude to what Gaudí would do with La Pedrera. 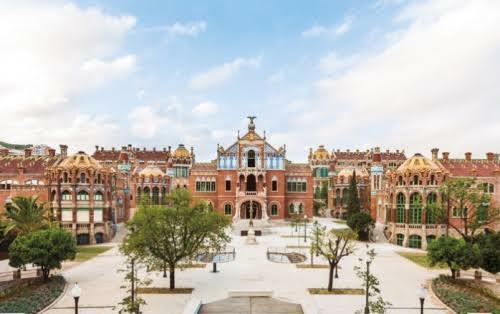 A UNESCO World Heritage Site, this former hospital was designed by Lluís Domènech i Montaner. 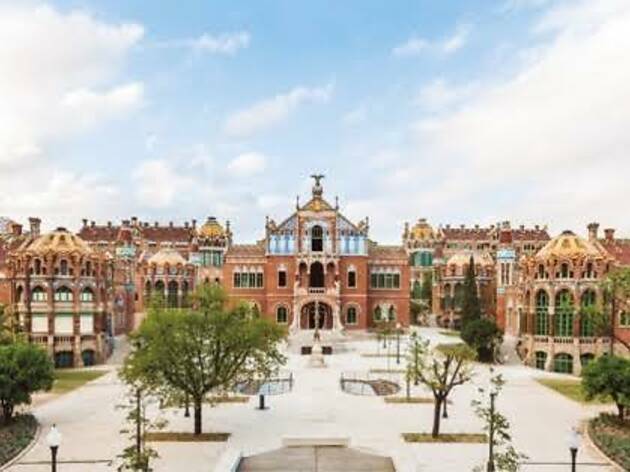 It's made up of 20 pavilions, abundantly adorned with the colourful Byzantine, Gothic and Moorish flourishes that characterise the architect’s style and set in peaceful gardens that spread over nine blocks in the north-east corner of the Eixample. It’s set at a 45-degree angle from the rest of Ildefons Cerdà’s grid system, so that it catches more sun: Domènech i Montaner built the hospital very much with its patients in mind, convinced that aesthetic harmony and pleasant surroundings were good for the health. Friday 22 to Sunda 25, 10am-2pm. 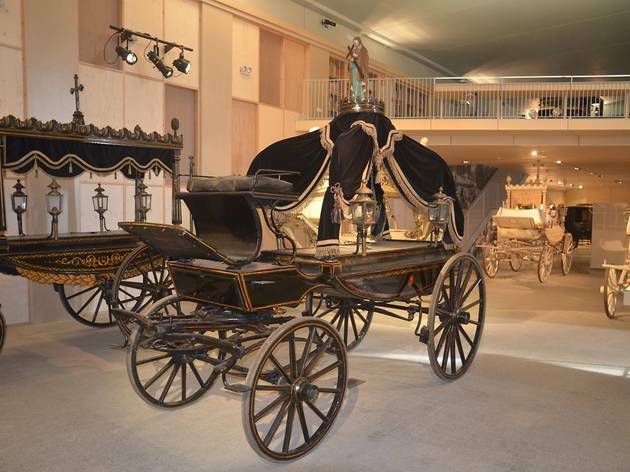 This is the world's largest collection of funeral carriages and hearses, dating from the 18th century through to the 1950s. There are ornate Baroque carriages and more functional berlins and landaus, and a wonderful '50s silver Buick. 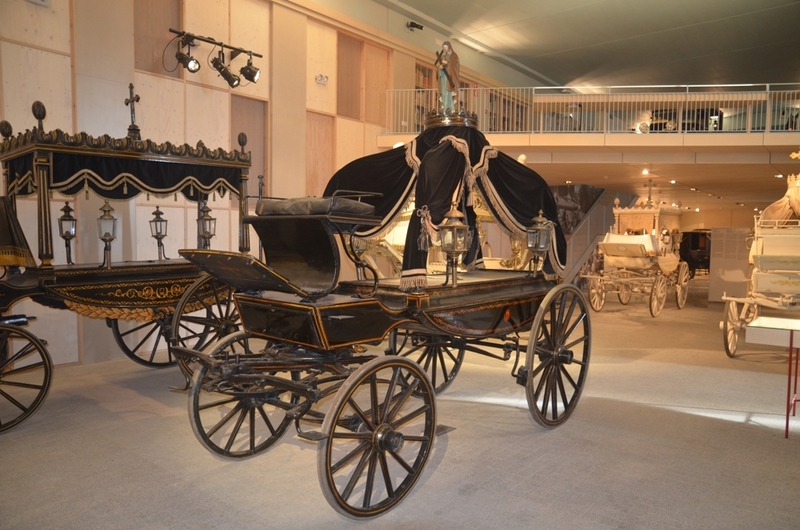 The white carriages were designed for children and virgins; there's a windowless black-velour mourning carriage for the forlorn mistress, ensuring both her presence and anonymity. The vehicles are manned by ghoulish dummies dressed in period gear whose eyes follow you around the room. Creepy good fun. 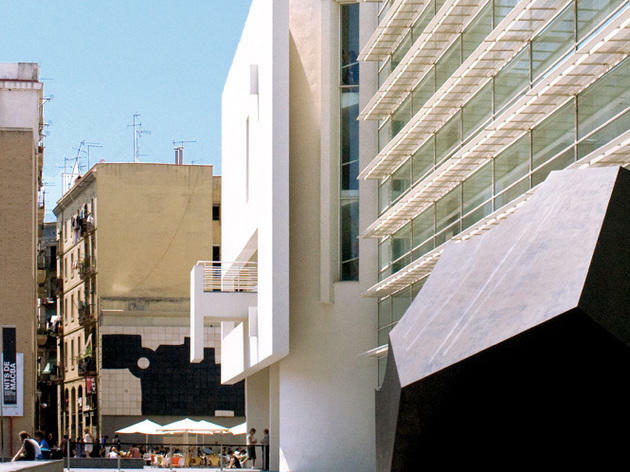 The Contemporary Art Museum of Barcelona (MACBA) is housed inside the impressive edifice designed by American architect Richard Meier. 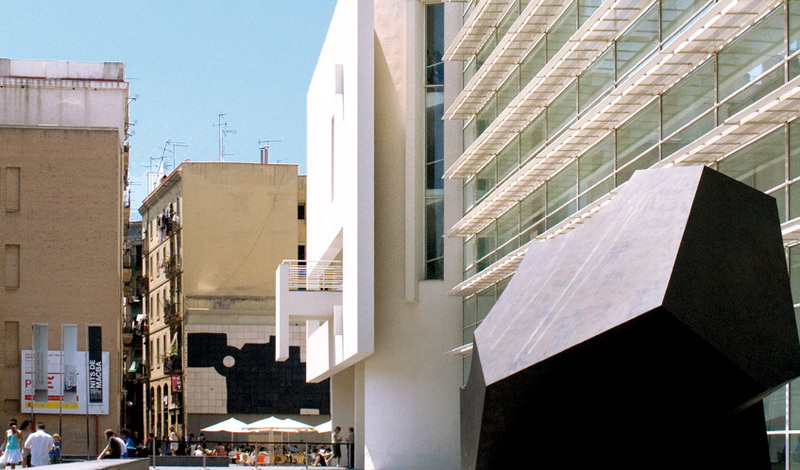 If you're aware that much of the permanent collection is inaccessible to the uninitiated, ready to tackle shows that flutter between the brilliant and baffling, and, most important, prepared to do your reading, a trip to the MACBA can be extremely rewarding. Since its inauguration in 1995, the museum has transformed itself into a power player on the city's contemporary arts scene. Its bookshop is fantastic for quirky gifts and artist design objects. Sunday 24 & Monday 25, 10am-7pm. 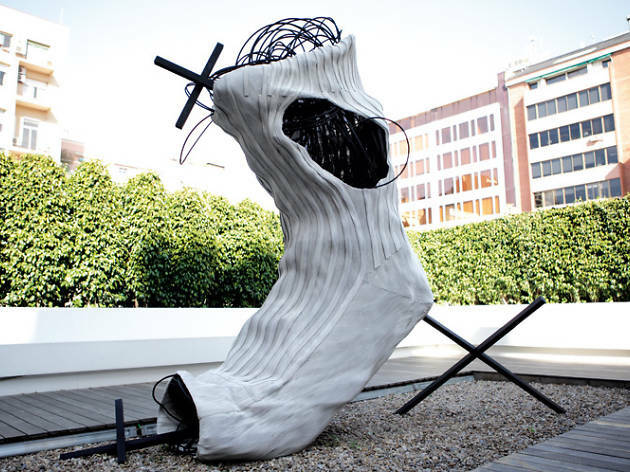 Antoni Tàpies exploded on to the art scene in the 1950s when he began to incorporate waste paper, mud and rags into his paintings, eventually moving on to the point where his works included whole pieces of furniture, running water and girders. Today, he's Barcelona's most celebrated living artist, and his trademark scribbled and paint-daubed pieces are sought after for everything from wine bottle labels to theatre posters. The artist set up the Tàpies Foundation in this, the former Montaner i Simon publishing house, in 1984, dedicating it to the study and appreciation of contemporary art. 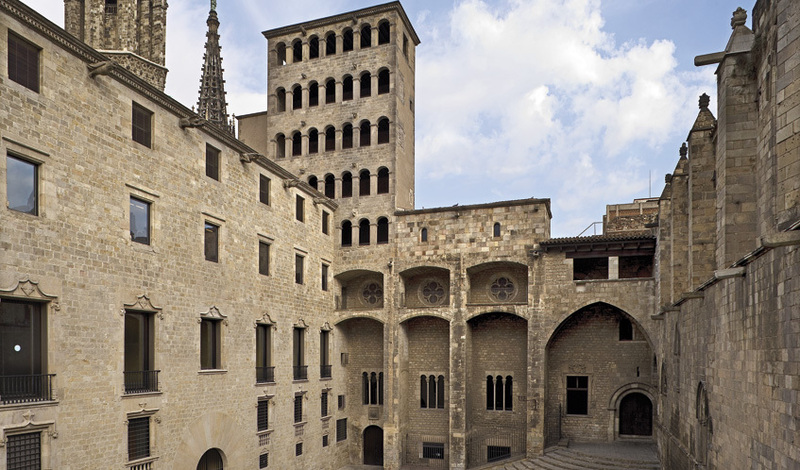 The Military Museum closed down in 2009 and its contents were moved to Figueres. The castle is now an International Peace Centre. For now, visitors can stroll through the castle, climb the battlements for fabulous views, or picnic in the wide moat. There's a café in the Plaça de Armes. 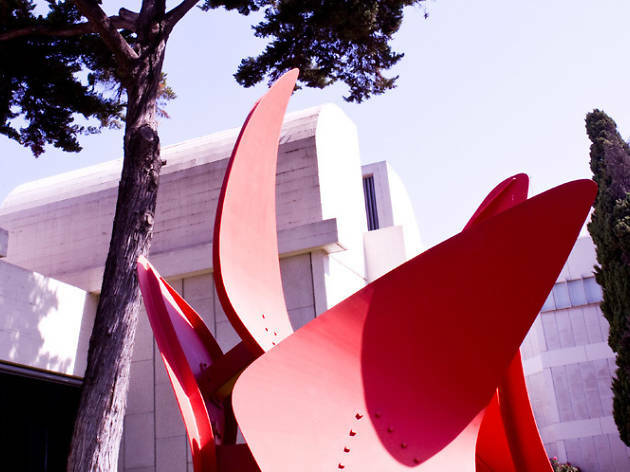 The Foundation boasts the most complete public collection of works by Joan Miró, made up of paintings, sculptures, pottery, textiles, engravings, and illustrations by the artist from all periods. Catalan architect and a great friend of Miró's, Josep Lluís Sert, designed one of the greatest museum buildings in the world, right there in a park on Montjuïc. 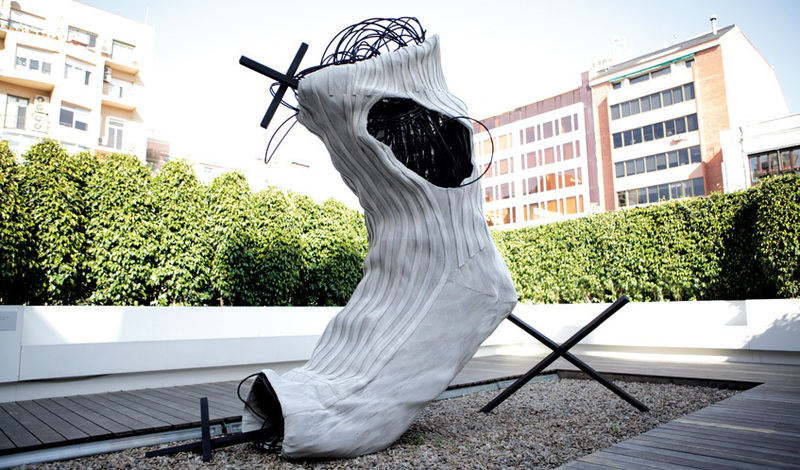 This bank holiday weekend you can see the temporary exhibition 'The Way Things Do'. 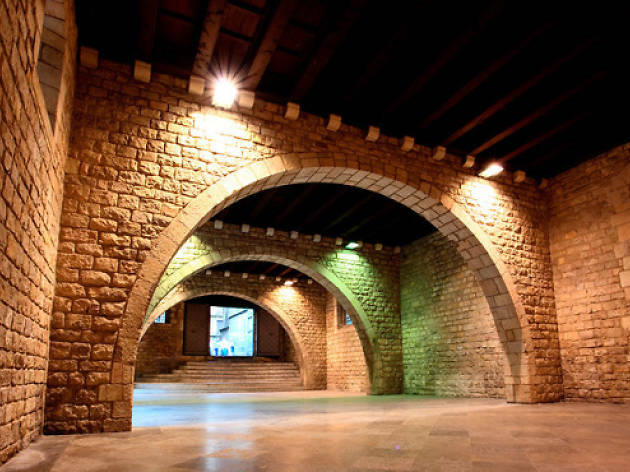 Stretching from the Plaça del Rei to the cathedral are some 4,000sq m (43,000sq ft) of subterranean Roman excavations – streets, villas and storage vats for oil and wine, all discovered by accident in the late 1920s when a whole swath of the Gothic Quarter was dug up to make way for the central avenue of Via Laietana. And you can visit that for free on Sunday 24. 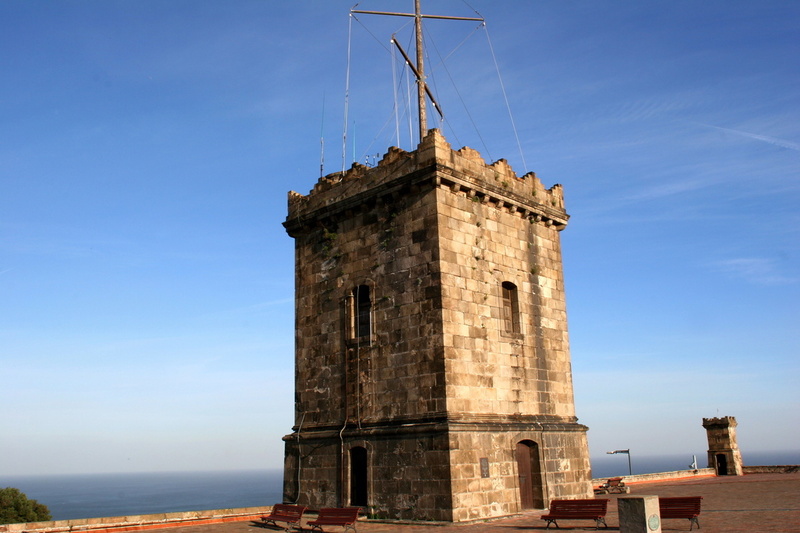 You can also gain free entry on the 24th to other MUHBA museums, including the Domus d'Avinyó (11am-2pm), El Call (11am-7pm), the Temple d’August (24th, 10am-8pm & 25th, 10am-7pm) and Vila Joana (10am-7pm).